The route starts at the hiking trails orientation in Donovaly and then climbs on a prepared ski trail to the village of Polianka. In Polianka there is crossroads of ski trails. The green ski trail continues up a slight incline through a beautiful forest. It eventually leaves the forest onto a meadow from where there are beautiful views in good weather of mainly the Great Fatras. It then alternates between slight descents and mild gradients up to the �liabkar site (Izbica). Here you can see how the �pania Dolina waterfall once looked like and while there take a break at the rest stop. After leaving for �liabkar the takes a steeper climb and then follows rolling terrain to the Horn� �turec saddle. The trail then takes a sharp left and continues until the crossroads with another yellow ski trail. �achti�ka is only a few hundred metres from here and there the trail ends. 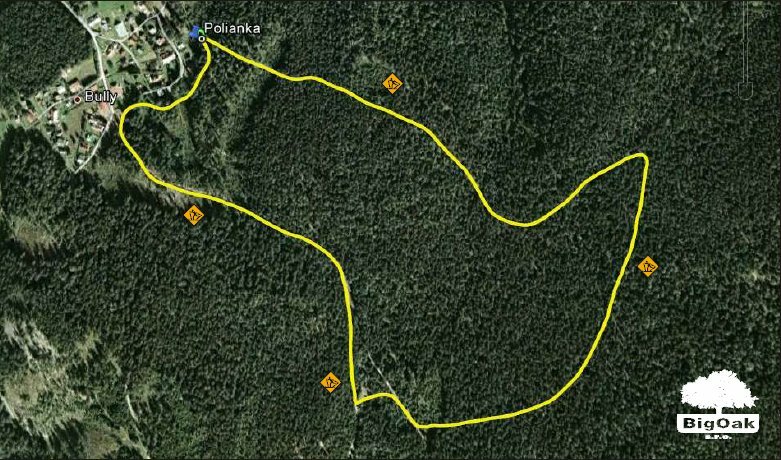 The trail begins at the intersection of ski trails in the village of Polianka. The route forms a circle, and so it is possible to go in either direction. It is also an easy trail for novice cross-country skiers. 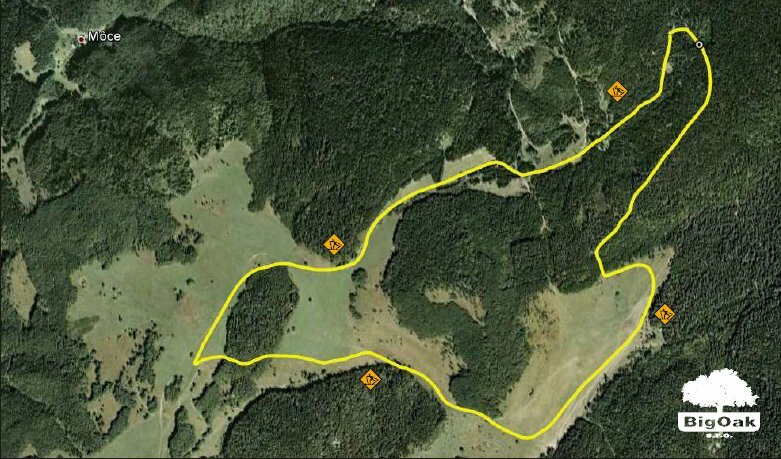 The trail begins at the intersection of three ski trails and forms a circuit which is possible to go in either direction. 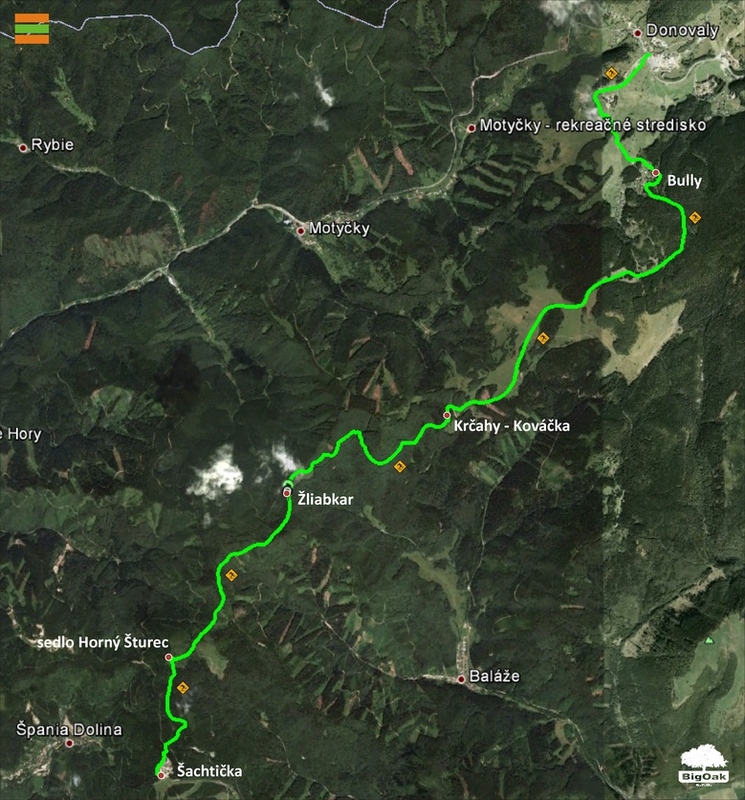 Part of the trail runs parallel with the green Donovaly - �achti�ka ski trail. It passes through a beautiful landscape of forests and meadows, from where there are magnificent views. It is also suitable for less experienced skiers, but you should give yourself more time to complete it. 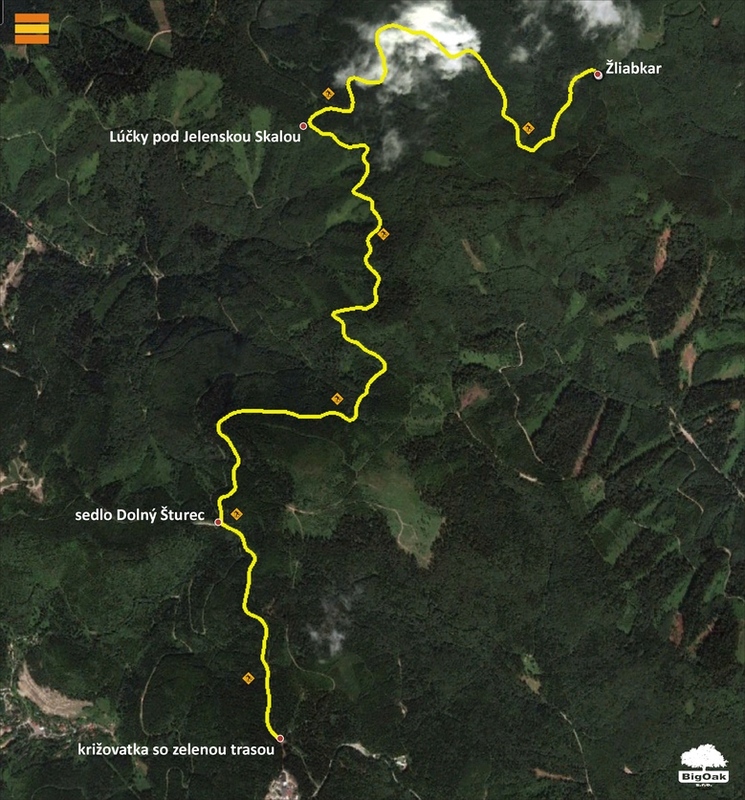 The trail begins at a place above �achti�ka at the intersection with the green ski trail leading to Donovaly. This gives an alternative route to the green trail and goes beneath the Jelenska Rock. From �achti�ka it continues to Doln� �turec saddle where the ski marking can be found. The Doln� �turec trail goes beneath the Jelenska Rock and then above the former guerrilla bunker of Mor Ho! to �liabkar (Izbica), where it once again joins the green ski trail on which it started. The entire trail follows an educational, nature trail, and weather permitting there are beautiful views of the Great Fatras. This trail is not yet marked, but it is prepared. Only the intersections are marked.